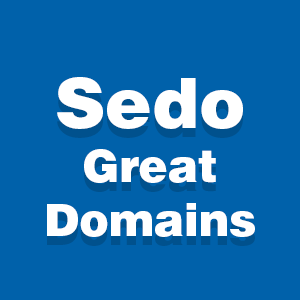 Welcome the Valentine’s Day “Seven with Sedo” GreatDomains auction – kindly sponsored by Sedo. GreatDomains is a 7-day long auction by Sedo, from February 15 – 22, featuring a small but hand-curated selection of domain names. Usually, a few more domains are added after we go through the lot, so don’t be surprised if the current number of domains – 39 – changes. WSB.com – A three letter .com with great, “western” letters. Reads as “wasabi” to us, then again it’s lunch time. Mid five figure reserve. Blood.com – This pure ultra-generic can be used literally, or as a fashion/tech/creative brand. Worth six figures, its reserve is set at high five. BTW.net – Short dot .net domains have lots of potential. By the way, this popular acronym is 20 years old and its reserve is in the four figure range. Comply.com – Strong verb, delivering authority and prestige. Great for crypto/cybersecurity or legal use. Reserve is low five figures. PC.fr – The French use computers too, and this short two letter domain is ideal for the French computer market. High four figure reserve – in Euro. Securite.com – Along with its matching IDN equivalent, Sécurité.com, this “important message” domain is ready to be used for important functions. Low five figures and high four figures (EUR) respectively. Devote.com – If you propose to your sweetheart today, Valentine’s Day, you better be prepared to devote yourself to her, heart, body and soul. Mid five figure range. And this concludes our GreatDomains auction for February 2018 – view the full inventory.